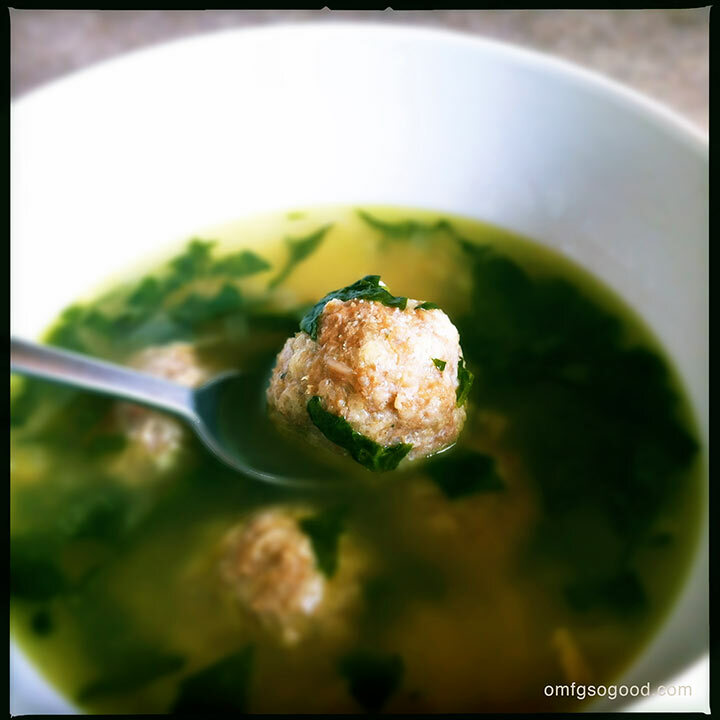 italian wedding soup with turkey meatballs | omfg. so good. No, not magic like ‘potion-style voodoo’ magic. Magic in the sense that my four year old asks me to make ‘his favorite soup with the green spinach’ at least once a week. Wait, a four year old asking for spinach soup? Yup, that’s the best kind of magic you could ever imagine. To make the meatballs, preheat the oven to 350 degrees and line a sheet pan with parchment paper. In a large mixing bowl, combine all of the meatball ingredients and mix together using your hands until thoroughly combined. 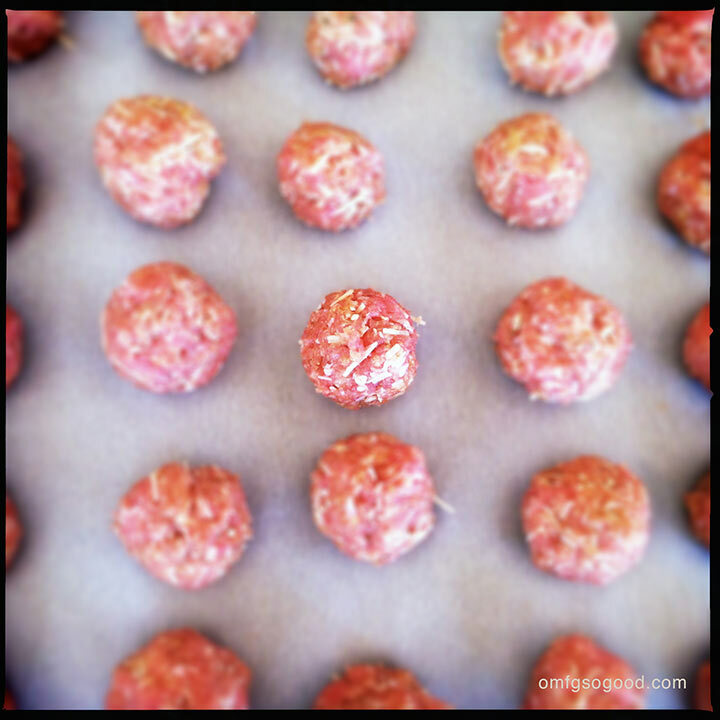 Roll the mixture into small, 1″ round meatballs and arrange in a single layer on the sheet pan. Bake the meatballs in the preheated oven for 20 minutes. To make the soup, heat the olive oil in a large stockpot or dutch oven over medium-low heat. Add the onion and celery and sweat them until they become translucent. Add the garlic and chopped spinach and stir to combine. Saute for 1 – 2 minutes, stirring occasionally. Add in the chicken broth and bring to a boil. Add the couscous and cook for 6 – 8 minutes or until the pasta is tender. Add the cooked turkey meatballs, a dash of salt and simmer for 10 – 15 minutes. To serve, top with a sprinkle of freshly grated parmesan and some crusty bread. Abra Cadabra. Hocus Pocus. Magic Soup, all up in this hizzy. This looks so good. I made a soup like this from a recipe on another blog, but lost it and could not find the blog. I look forward to trying this one. Hi! 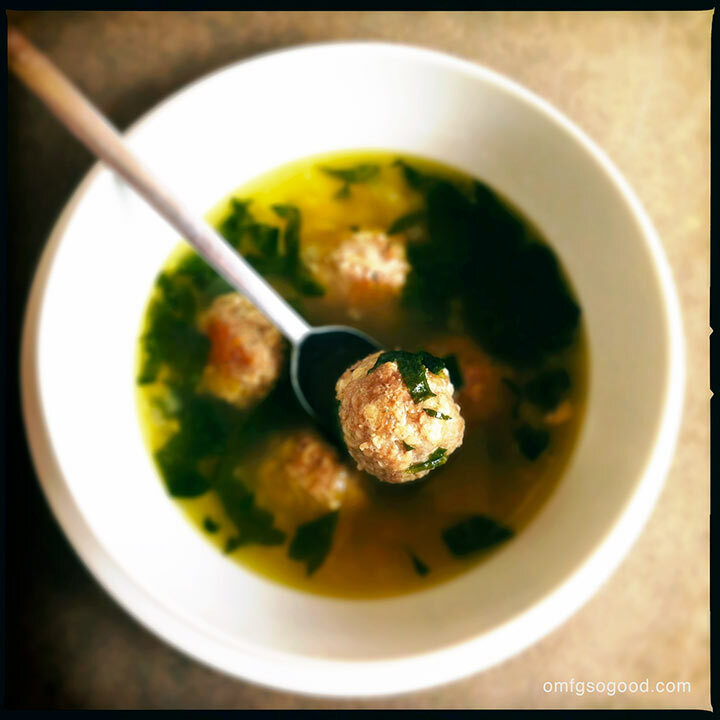 Your Italian wedding soup has been nominated as one of the “Best Italian Wedding Soup Recipes on the Net”. To vote for it, please visit http://easyitalianrecipes.org/soup-recipes/best-italian-wedding-soup-recipes-on-the-net-vote-for-your-favorite/ (your recipe is positioned at #132).